The president has talked tough about punishing the nation’s largest trading partner, but mostly avoided measures like tariffs. Now some U.S. lawmakers want to make it hard to buy American companies. Such bipartisan legislation poses a bigger risk to Beijing than the White House. 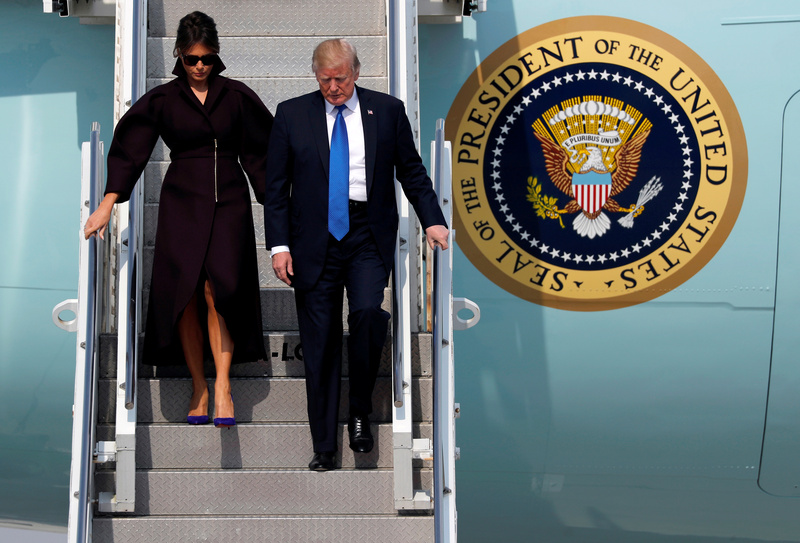 U.S. President Donald Trump and first lady Melania arrive in Seoul, South Korea, November 7, 2017. A new U.S. legislative proposal would expand the powers of the Committee on Foreign Investment in the United States, which reviews overseas deals for national-security concerns. The bill, which could be introduced by mid-November, would allow CFIUS to review minority investments and joint ventures. Currently, CFIUS can assess deals that result in a foreign company gaining control of a U.S. business. The plan would also allow CFIUS to review transactions that require U.S. firms to provide intellectual property to a foreign entity and makes clear the committee has authority over deals involving emerging technology. The bill is sponsored by Republican John Cornyn in the Senate, with a bipartisan companion bill in the House of Representatives. A separate Senate bill would require the commerce secretary to review foreign takeovers for their long-term economic benefit to the United States and study the impact on jobs. It is sponsored by Republican Chuck Grassley and Democrat Sherrod Brown. Any investment that results in foreign control of a U.S. entity worth more than $1 billion and any state-owned enterprise deal for a controlling interest in a U.S. firm worth more than $50 million would receive scrutiny. It would also allow Congress to request the commerce secretary to review any transaction.